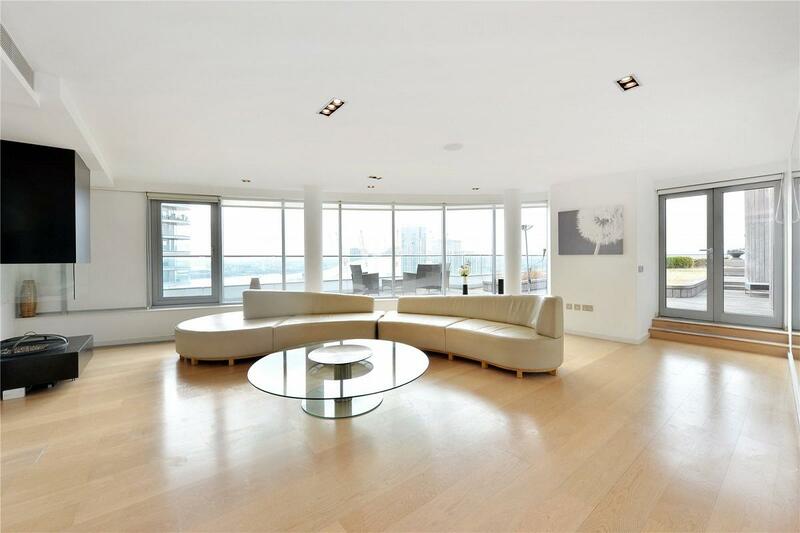 A spectacular 1894sq ft triple-aspect 15th floor 3 bedroom 3 bathroom penthouse apartment with exceptional river views & an enormous river-facing roof terrace in the sought-after New Providence Wharf development. The apartment also benefits from views towards Canary Wharf, over the Poplar Marina & Blackwall Basin. New Providence Wharf boasts excellent on-site facilities including 24 hour concierge & site security, swimming pool & a large & well-equipped residents' gym. The development is located conveniently close to Blackwall DLR station for easy access to Canary Wharf & The City. The forthcoming Elizabeth Line (formerly Crossrail) station at Canary Wharf, opening December 2018, will be situated approximately 800m away. Valet parking is included for 2 vehicles & the property is offered chain free.